Race number collection will take place, as usual, in the Presentation College Hall in Athenry. 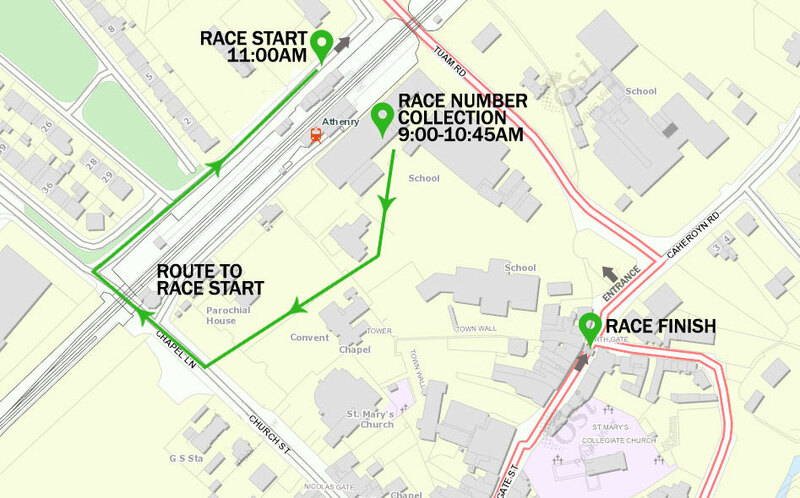 Numbers are available from 9.00am until 10.45am sharp with the race starting at 11.00am. The start line is situated behind the hall and adjacent to the train station. The easiest route is to turn right after exiting the registration hall and pass through the adjacent train station or church/school grounds. Portaloos will be available outside the registration hall.